What Does The Opening Of Tobin Center Mean For The Majestic Theatre? The ornate inside of the Majestic Theatre. I've probably had half a dozen people worriedly ask me, "What's going to happen to the Majestic after the Tobin opens?" So I decided to ask the person most likely to know if there any truth to the rumor that the Majestic Theatre will be closing down after the Tobin Center opens. “No truth to that rumor, not at all," said Mike Rilley, who is the Majestic’s general manager. “The Majestic’s got next year probably as much programming as we’ve ever had,” he said. So I asked him to detail exactly who's coming to the Majestic. “Well we’ve got Tony Bennett this week; just put Foreigner on sale; ZZ Top is on sale," said Rilley. 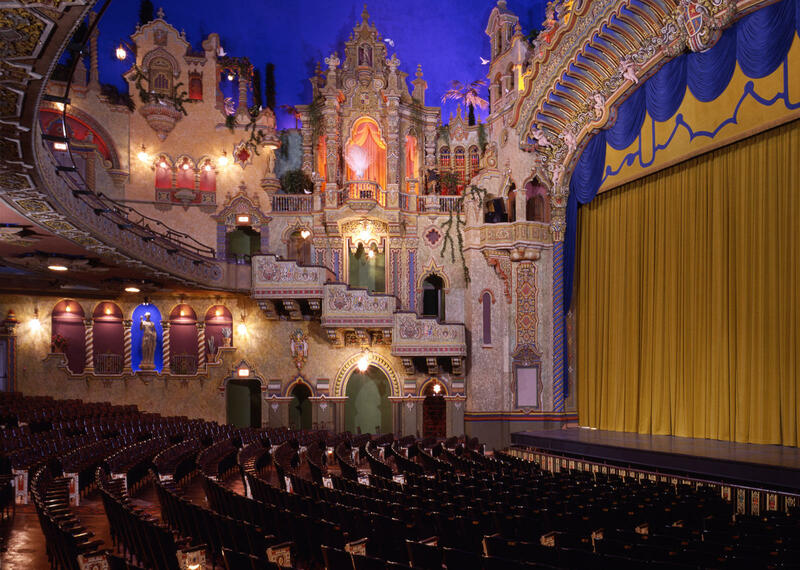 "We’ve announced a great lineup of Broadway programming, including four weeks of 'The Lion King' coming to San Antonio in December; 'Beauty and the Beast,' 'Chicago,' and a whole other series of fantastic shows." But here’s something you may not know: The San Antonio Symphony is not done at the Majestic. "We’re going to do big screen films with the symphony playing along to the films including 'Star Trek Into Darkness' and 'Bugs Bunny,' " Rilley said. So what viewers will see is a big screen with 'Star Trek Into Darkness' playing, but instead of the music from the movie, the symphony will be playing the music. He said the opening of the Tobin will provide more opportunities rather than less. “This is one of those circumstances where all boats rise as the waters grow higher, and I think it’s a really exciting time to be in Bexar County,” Rilley said.